It’s been an active 2013 so far for anti-terrorism efforts in Indonesia, but actions of the authorities continue to spur debate. On December 20, 2012, armed civilians shot and killed four members of the Indonesian Police Mobile Brigades and injured three others in Poso, Sulawesi. The police response was quick, and several suspects were rounded up and allegedly tortured, including some found innocent of the charges. But that was not the end of the case. Indonesia’s anti-terrorism force Densus-88 conducted operations in Makassar, Sulawesi, and the island of Lombok in early January, and killed 11 suspected militants in two days. They were purportedly tied to the “Santoso Group,” those thought responsible for the earlier attacks and bomb threats. Similar to the aftermath of previous Densus-88 operations, critics were quick to respond, questioning the group’s apparent shoot-first policy. Some anti-terrorism groups decry the inability to question suspected terrorists who could have been taken alive. Human rights groups are concerned that America- and Australia-trained Densus-88 may not be following protocol but rather may simply be trigger happy cops, and wonder if they’ve killed any innocents. And in a bizarre convergence of interests, Islamist extremists have also criticized Densus-88 on human rights grounds. Voice of al-Islam (VOI) declared the killings “excessive” and argued that it would simply stoke resentment among Muslims. In an interview with VOI, Yus Rizal Jurnalis (who goes by Joserizal, adopting the early Filipino nationalist and fellow medical doctor’s name), argues that Densus-88’s tactics are “closed” to public scrutiny, similar to the United States and Zionists, and constitute “state terror.” Inexplicably, he turns from criticizing Densus-88 to spreading the conspiracy that the US and Zionists were behind 9-11, in order to create a new world order through the subsequent persecution of Muslims. Although it’s certainly a rhetorical and logical leap, anti-US and anti-Israel conspiracy theories thrive in Indonesia, even among well educated people. “Why Aren’t Separatists in Eastern Indonesia such as the OPM Called Terrorist?” asks a VOI headline. Arguing that Densus-88 only targets Muslims and therefore it must be an arm of US and Australian policy, Ustadz Khoirul RS, a leader of the paramilitary Islamist group Islamic Defenders Front, asks why “Christian separatists” in the Moluccas (RMS) and West Papua (OPM) are not labeled as terrorists. He ignores the fact that the RMS insurgency petered out in the early 1950s and was comprised of both Christians and Muslims. Also the OPM doesn’t target civilians like the Indonesian police and military do in West Papua, and that Densus-88 does in fact consider the OPM a terrorist organization. It moved into West Papua last year, and has been attacking villages there in search of separatists, including Paniai last week and Wamena at the end of 2012. Khoriul’s organization continues to rail against the “Christianization” of Indonesia and the threat from Shia Islam and Ahmadiyah, and it has been implicated in acts of intimidation and violence for which its members have either escaped punishment completely or been handed light sentences. The FPI’s leader, Riziek, continues to call for Densus-88 to be disbanded. Abu Jibriel, the emir of the Indonesian Mujahidin Council, took time to conflate the issues of religious plurality with Densus-88’s actions. Densus-88 wants to “eliminate militant Muslim activists in Indonesia,” according to Abu Jibriel, before ranting about the triple-threat of liberals, Shiites, and Ahmadis. By attempting to portray the actions of Densus 88 as simply anti-Islam, as opposed to anti-terrorism, extremists are trying to cast Densus 88 as the bad guys and themselves as the protectors of the faithful. 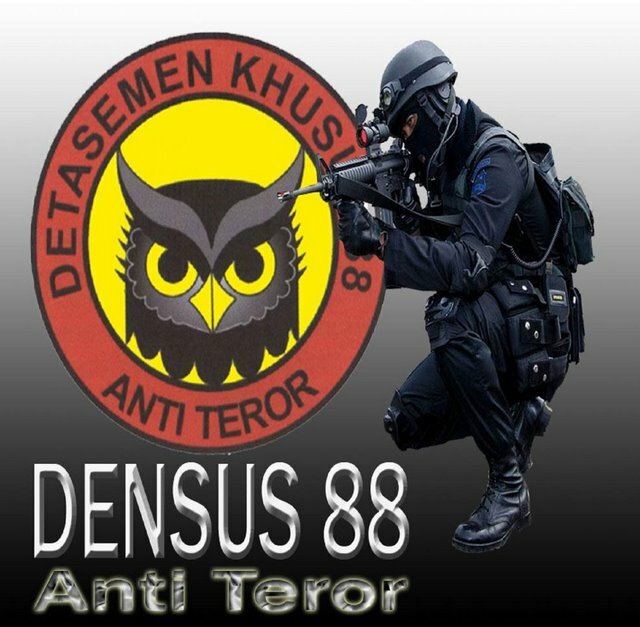 Given Densus 88’s popularity among most Indonesians–coupled with the awareness that most extremist attacks kill Indonesian Muslims–this attempt to frame Densus 88 as the bad guys will likely fall on deaf ears. Yet as more and more people begin to question Densus 88’s actions from a broader human rights perspective–are these acts essentially extrajudicial executions?–as well as from a security perspective–why don’t they take more people alive so we can gather intelligence and stop more extremist attacks?–the Indonesian authorities will face more pressure to answer these questions. And they should, especially if Indonesia continues to aspire to be an open, plural democracy where the rule of law stands.